For the first four days of Audiobook Week, I plan to post on the daily topic. On Friday, I am going take a different path. 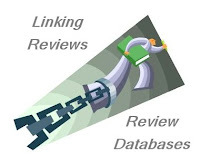 I hope you take the time to visit all the participating blogs; you can find them by checking out Jen's blog and clicking on the Mr. Linkys. Impressions? : Excellent. A bit different from the earlier books in the series and it is definitely taking the main characters in a new direction (in a good way). How long you’ve been listening to audiobooks: I'll say 20 years, but I became a serious addict about 12 years ago. First audiobook you ever listened to: As I said earlier in the week, I think it was Amy Tan's Joy Luck Club. Favorite audiobook title: Waaaaaaay too many to choose from: I'll say John Adams by David McCullough for nonfiction, Wicked Lovely by Melissa Marr for the production, The Lord of the Rings by J. R. R. Tolkien for pure indulgence. 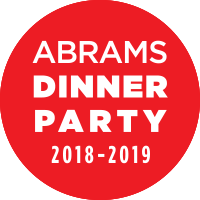 Favorite narrator: Can't answer this: Simon Vance, Davina Porter, Barbara Rosenblatt, Jeff Woodman, Scott Brick, Kate Reading . . . Sorry. Just don't have a favorite. How do you choose what to listen to versus read? I don't. If I can get it in audio, I will usually choose that medium because I have more listening hours in a day than I do reading hours. 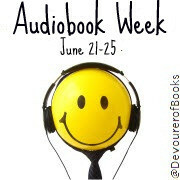 Be sure to visit Jen's blog, Devourer of Books, for other posts on today's Audiobook Week topic. I didn't keep good records on my reading and listening until about 2006, but a quick search through my database shows that Davina Porter is my audio-narrator BFF. I have listened to 20 titles by her (including the entire Diana Gabaldon Outlander series) for a total of 394.5 hours. Yikes!!! I am exactly the same way...if I can get in audio, then I listen to it. Very easy really. There are plenty of books that aren't produced as an audio, so there are more than enough printed books to busy myself with! That's a lot of hours hanging out with Davina Porter. I listened to all the Dave Robicheaux (James Lee Burke) novels with Mark Hammer, up to the point that Hammer passed away. It wasn't 20, but it was lots of hours, too. I so miss him. No one can do Robicheaux like Hammer! So you were like, what? five when you started listening to audios? That's impressive!...and Amy Tan at five is even more impressive. Davina Porter is simply so talented it boggles my mind. It's easy to forget just how difficult all those different accents and inflections for different characters must be....she makes it seem effortless. I haven't listened to most of those readers, but I do think Scott Brick is great. I'm listening to my first book read by Simon Vance right now. I am right there with you! I love audiobooks. I've listened to several of Julia Spencer-Flemings -- I like the narrator a lot. I get the books on cd from the library and load them onto my iPod. Handy! And I can order specific books sent to my local branch. So I occasionally go through my book lists. look them up on the library web site to see if they have an audio version, and put a hold on it. It helps me make progress with some of these lists! Wow, you must really like Davina Porter to have spent nearly 400 hours with her!!! Wow, you listened to all the outlander books! That's some serious commitment! I love that seires. I was thinking about getting the LoR on audio, might just have to do that for sure! Okay, now you are going to have me asking for an audiobook based solely on the narrator. Davina Porter must be extremely good if you spent that much time with her. I have to hear her for myself. Once I am finished listening to Davina as Claire and Jamie will I ever hear her as someone else? She is awesome, I agree. Ack! I forgot to mention Davina Porter in my answer today. Awesome. I will try that. I love audiobooks--especially on road trips. A great way to take in a text. I love audiobooks, but I haven't been a regular listener in a long time. But I swear, since I had my baby my hands are NEVER free. Back to audio I go. Thanks for the list of fave readers. I need to look into Lord of the Rings on audio - I seem to have a mental block when it comes to the print version and I am becoming a family outcast because of it! Here's my meme. Oh, what a great idea! I love audio books for long car trips. I don't know why I don't listen to them when I do things like the dishes or laundry.